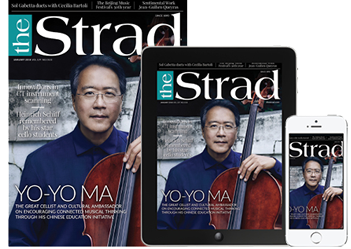 Given the turbulent history of the 1711 ‘Mara’ Stradivari cello, its chief fascination may be the fact that it exists at all. That it retains the appearance of a majestic golden-period Strad, with a bright and brilliant sound to match, is something of a miracle – and testimony to the skill of the Hill restorers of five decades ago. When one considers that its fate was almost to be consigned to the murky depths of the River Plate in Uruguay, one can see why the cello’s 306-year history was even turned into a novel, by German author Wolf Wondratschek in 2003 – with the cello itself as narrator.